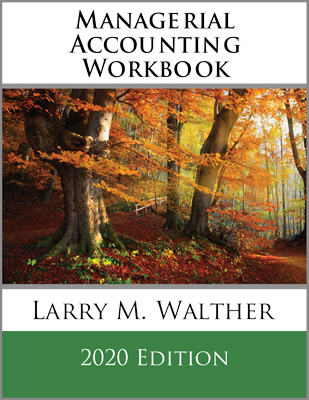 Accountants have a reputation for being focused on cost control. Perhaps this reputation can be traced back to the 1843 book by Charles Dickens entitled A Christmas Carol. In that tale, Ebenezer Scrooge is a penny-pinching miser who cares nothing for the people around him. His sole purpose is making money, and his trusted but suffering accountant is Bob Cratchit who painstakingly tracks every penny. Today’s accountants still focus on measuring and controlling the costs of a business. And, this pursuit sometimes earns them the scorn of their associates who may be more interested in engineering, product development, marketing, and other facets of the business. 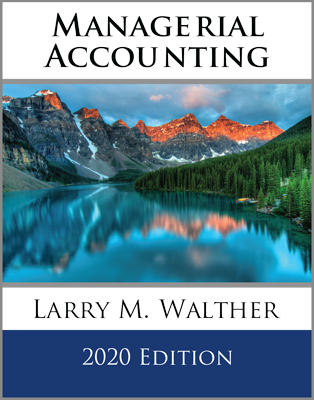 The accountants, and their numbers, are sometimes seen as profit obsessed and, therefore, limiting the potential to achieve other objectives. But, modern managerial accounting techniques are causing a shift in this reputation. Technologically advanced information systems mean less time needs to be spent on data capture, and more time can be devoted to analyzing data and making sound business decisions. One result of the rise in global competition has been a cross-pollination of best business practices. Interestingly, many profitable businesses come out of environments where profit is not the primary motivation. What has been learned from this is that business success can be achieved by a fixation on issues such as quality, employee involvement, customer satisfaction, and the like; profit is the result, not the objective. Kaizen is a Japanese term used to describe a blitz-like approach to study processes and install efficiency within an organization. This approach relies on frontline employee input for “quick fix” suggestions relating to business processes. Essentially, focus sessions are conducted in search of the obvious areas of operational improvement. These sessions are usually “observed” or “moderated” by members of the strategic finance, managerial accounting, and industrial engineering teams. But, these “experts” are supposed to listen and learn, not suggest or lead the discussions. This was a simple, and in retrospect obvious, corrective measure. The savings were huge from this and other Kaizen event fixes! The entrepreneur sold the business at a greatly increased price within just a few years after buying it. There are few businesses that cannot benefit by taking time to listen to employees in search of operational suggestions that make sense. The cost and efficiency savings can be enormous. These Kaizen sessions are also useful in helping employees understand business cost control and its importance to the entire business team. A term popularized in recent years has been lean manufacturing, which is patterned after the Toyota Production System. This descriptive term is indicative of an environment where waste has been trimmed. But, it also entails a focus on response time and continuous improvement. Other benchmarks of lean manufacturing are the reduction of inventory and the pursuit of standardization for as many processes as possible, without compromising responsiveness to customer demand. The development of a lean manufacturing facility is not a quick fix like Kaizen. Accountants and others will conduct an extensive and in-depth study of each process with the goal of bringing efficiency to the business. Management accountants should also consider the relevancy of the information they provide for decision making in lean environments. Often, consultants and experts are engaged in implementing lean practices; these outsiders can bring a fresh perspective and valuable insight gained by their service to a variety of other businesses. To illustrate, there was a time when automakers had many options for each car produced, and customers spent considerable time selecting preferred options. This, in turn, complicated the manufacturer’s production and inventory management. In time, they discovered that the manufacturing process, inventory management, and customer buying experience could be improved by bundling options into two or three packages. The “leaning” process resulted in a more standardized/streamlined production effort, and produced a better customer experience. The point is that making a lean manufacturing operation does not mean simply cutting costs. Lean is doing more with less. It is the result of an intensive effort to streamline and standardize production, while adding customer value! Inventory management often benefits from studies into the development of a lean manufacturing environment. Maintaining raw materials inventory entails not only a considerable upfront investment, but also the potential for costly damage and obsolescence. Lean companies will attempt to minimize their raw materials inventory. One method is adopting just in time (JIT) inventory systems. In an ideal application, raw materials are received from suppliers just as they are needed in the production process. This approach requires a complete and reliable logistics system, as any disruption in the flow of materials can bring the whole production process to a devastating stop. Such systems are usually dependent upon a strong information system that often links the manufacturer directly to the supplier with automated procurement procedures. 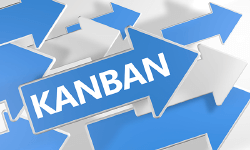 A Japanese term that is associated with JIT is Kanban, which means some form of signal that a particular inventory is ready for replenishment. A popular modification of the JIT system is for suppliers to “store” their inventory at the manufacturer’s physical location. This enables the manufacturer to “buy” raw materials directly from the supplier’s stock located within the same physical location. Finally, note that “compatible” businesses are located in close proximity to one another. For example, a beverage bottler’s neighbor is apt to be an aluminum can manufacturer. All of these measures evolve from significant endeavors to develop lean manufacturing processes, and are usually based upon detailed job cost studies. Total quality management (TQM) is a key driver of customer satisfaction and business success. Globalization increases the level of competition and drive toward higher product quality. This is often achieved by incorporating detailed standards into the management and productive processes. There is now a globally recognized organization, The International Organization for Standardization, that provides standards and guidelines relating to processes that drive the production of quality outputs. Certifications such as “ISO 9000” suggest that a company is able to demonstrate that it has successfully implemented quality management standards. This becomes increasingly important in selecting global trading partners. An important part of TQM is to stress quality by comparing products and processes to other “world-class” firms. This comparative process is commonly known as benchmarking. “Sigma” is a term from statistics. It is a measure of deviation from a norm. In the case of production management, the “norm” is perfection. 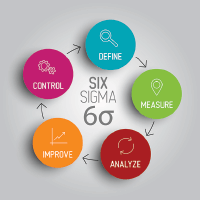 With Six Sigma, the organization tracks and monitors “defects” in a process. Then, methods are sought to systematically eliminate the opportunity for such defects. The goal is to achieve nearly “zero defects.” Near zero defects reflect a defect rate that is at least six standard deviations from the norm (hence the name “six sigma”). Such a distribution would have only 3.4 defects per million observations. Importantly, the defects relate not only to final products, but also to all business processes, whether they be in manufacturing, record keeping, or whatever. Six Sigma revolves around the definition, measurement, and analysis of defects. The management accounting group will be heavily involved in this process. It is often the management accounting unit’s responsibility to suggest improvements and provide controls necessary to drive an organization toward the near-zero defect goal. But, how does this result in cost savings? 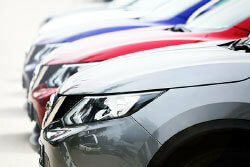 Companies have learned that quality defects are very costly. The costs come about directly in terms of the corrective actions like warranty work, and indirectly through lost customer satisfaction that can adversely impact future sales. Significant savings are realized via the reduction in the cost of poor quality. 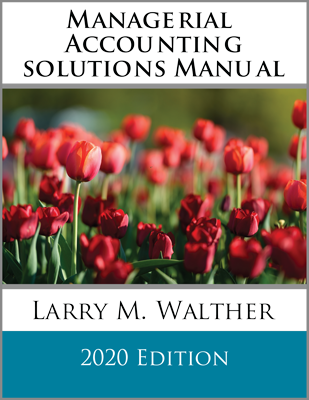 This chapter should serve to highlight an important message: The modern managerial accountant is increasingly deploying technology to deal with mundane data capture, thereby freeing resources to study and analyze techniques needed to drive business success. 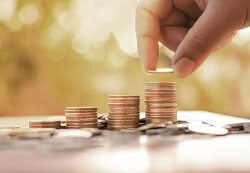 While penny-pinching is an important part of building a financially successful business, it is also true that one can be penny-wise and pound foolish. Thus, the management accountant is not solely focused on cost cutting, but must also be mindful of measuring and instituting controls that drive an efficiently produced product of high quality. What is the concept of of Kaizen? Know the difference between cutting costs and developing lean organization. Explain just in time inventory management. Be able to discuss quality management concepts, like TQM, ISO 9000, and Six Sigma. What is the management accountants role in quality management?